CEOL | Learn how to upgrade editions and keep all your features. Individual users should follow the steps below to pay for their license. 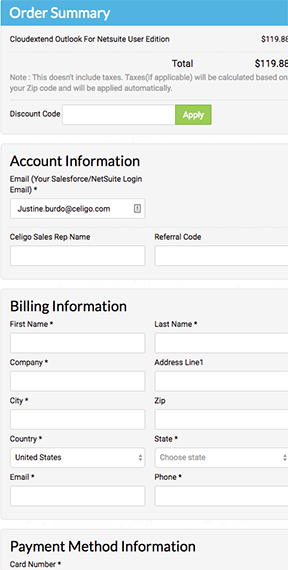 If your organization has 5 or more users contact sales (cloudextend-sales@celigo.com) for corporate billing. 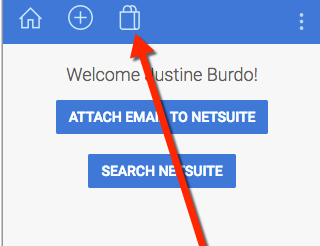 Step 1: Click on the shopping bag at the top of the CloudExtend tool. 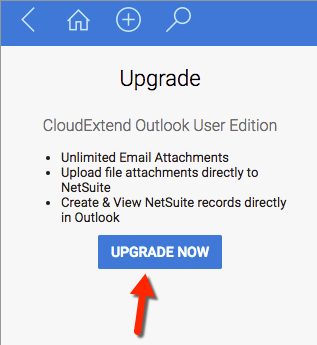 Step 2: Click ‘UPGRADE NOW’. Step 3: Enter in Account information, billing information and payment information. Congratulations, you've unlocked all the features of the User Edition.